For the first time since the mid-1970s, England and Australia faced each other home and away in back-to-back series in the summer and winter of 2013. Under prolific captain Alastair Cook, England went into the Ashes on the back of three unbeaten series, including a first win in India for more than 25 years. By contrast, Michael Clarke's Australia arrived in England with an inexperienced side, changing their coach just weeks before the Ashes started. No wonder England started as strong favourites. And so it proved, as England won the home series by a 3-0 margin - their biggest Ashes win since the 1970s. But there were signs of an Australian revival in their defeat, and when England arrived Down Under, they found an entire nation ready to make things different, as the underdogs fought back. Suddenly, Australia were the better side in every aspect of the game, and they won back the Ashes after three consecutive crushing victories. Watching on as events unfolded was award-winning cricket writer Gideon Haigh. 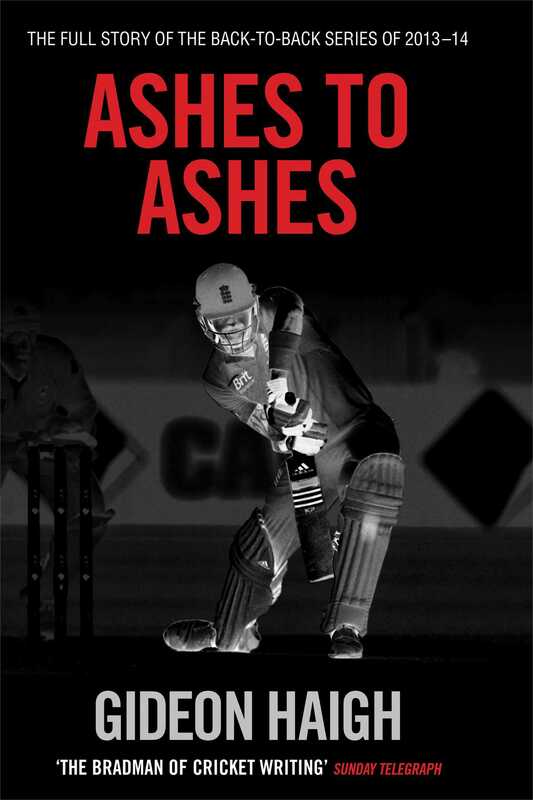 With great insight and skill, he reveals the key moments of both series, analysing the personalities of the players and how they coped with the most pressurised and high-profile cricketing contest of them all: the Ashes. No other book on the subject comes close to this one in getting to the heart of the matter.